This stool is not just a place to sit but it is also a work of art. The Hanna Stool from the Moe’s Home Collection offers you expert craftsmanship which combines stable iron, durable MDF, and solid fir. The height can be adjusted to fit your needs and it provides a footrest to ensure your maximum comfort and support. 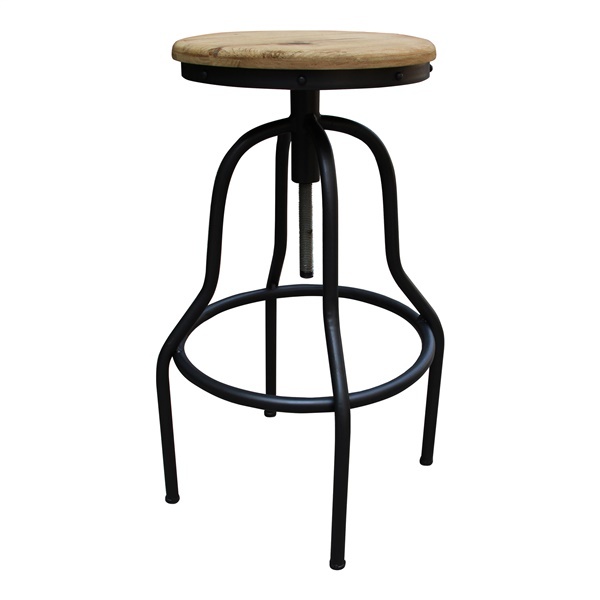 Each of the stools comes completely assembled and the antiqued, rustic style will work in many different types of décor. Whether you use this in your office or in your home, you’ll have a comfortable place to sit and a work of art to enjoy. Expert craftsmanship of solid fir, stable iron, and durable MDF. Footrest for maximum support and comfort. Rustic antiqued style for various décor aesthetics.